We specialise in IP cloud-hosted phone systems, mobile solutions and data services. This service complement all other services that we supply for Smart Buildings. It is all about staying ahead, future proofing, efficiency, flexibility, cost savings and to be able to analyse each area of the business. Our hosted telephone system is a system that resides in the cloud rather than in your office. You access the system through a standard IP handset or a softphone – a screen-based virtual phone with a headset. Calls are made and received over a broadband connection a VC network. From there they are routed to PSTN fixed and mobile devices. 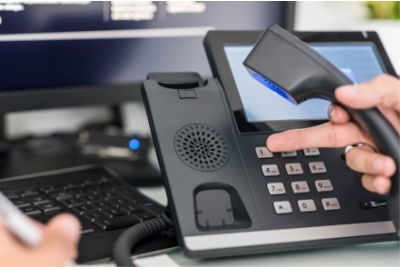 As well as giving your access to low-cost and free IP calling, the hosted system also gives you a huge range of smart call management features. Mobiles and other devices can also be integrated. Perhaps most important is the degree of control a hosted system gives you. Your organisation’s entire communications, across multiple sites and countries, can be managed easily, right down to the individual user level, through a simple interface. Disaster recovery/business continuity is also included. There is no up-front spend on hardware, software or maintenance and it’s ideal for businesses with multiple sites and remote/mobile workers. Transform your business by increasing efficiency, productivity and innovation with a unified communication system scaled for your business. A unified communication system facilitates the interactive use of the multiple communication methods your business uses on one platform. Real-time access to services such as phone, messaging, video conference systems, and data sharing from multiple devices enables staff, business colleagues and customers to navigate seamlessly through all communication channels. Streamlining communications presents opportunities for costs savings in all areas of your business and its availability 24/7 means that you can connect with your colleagues and customers anytime and anywhere to instantly and securely retrieve, share and work on projects. Security is a concern for many businesses, particularly if staff use multiple unsecured platforms to access and share confidential files. Visually Connected provide a unified communication solution enabling your business to collaborate on a stable and secure platform. Make the right technology decisions for your business - call to discuss your requirements on 0330 133 0902.